Lloyd's tea house is a very nice coffee shop (OK, tea shop), serving some good food and is very typical of a good cafe, albeit serving tea as their specialty. I have written earlier about the food there, but at that time, the teas weren't great, couches weren't there, but food was very good. Lots of things have changed and this time, I found that food has improved, seating has improved, desserts have not, but the biggest improvement for me has been the teas. The same tea that was quite so-so during my first visit, were quite good this time. 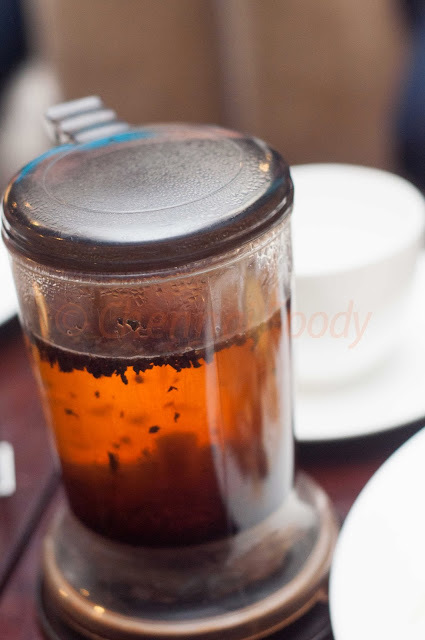 The tea of the month - Mango Tulsi tea was brewed to perfection. Actually, they place the timer and tell you what the ideal brewing time is, so you are partially responsible for the tea! I loved the tea, while the blooming tea that my friend had was very very good and the he iced teas that the women had have improved a lot too! 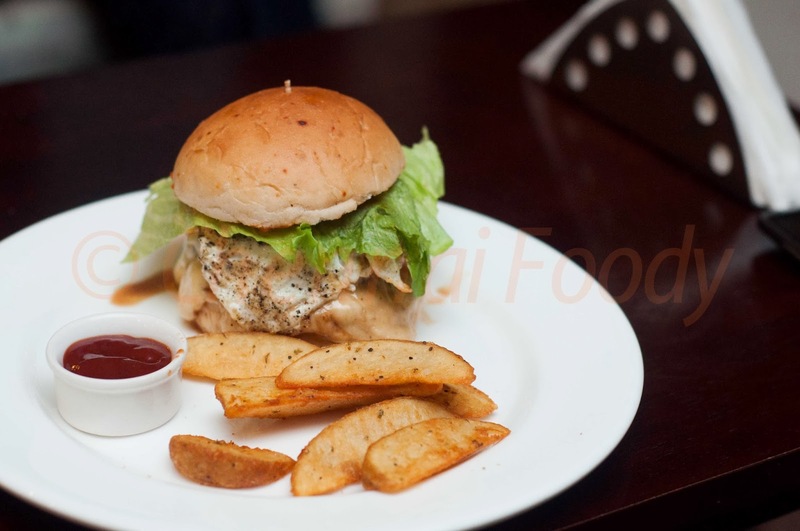 But that day, the Lloyd's cheese burger, officially put its hands up to be counted among the best burgers in Chennai. I had the ham cheese burger with no bacon, but added egg and it was juicy and perfectly done. While it still does not out-do the burger at Sandy's and I also don't know how consistent they are going to be with the burger, Sandy's cheese burger is not out of the 1st place in a coffee shop yet, but this burger is good! The chilly prawns that the ladies refused to share with us, but we ordered one more and refused to share with them was super hit! The corn on toast was loved by all, a very simple dish, but tasted great and the pastas were reasonably good. But, the desserts still have a long way to go. While, this place could be the go-to place for me for some nice tea and burger or coffee and short eats, this is, not yet, the place for me to head to for coffee and pastry. The red velvet cake was not great, the rainbow cake was decent, but not great and they have probably the worst French Macaroons in the world. 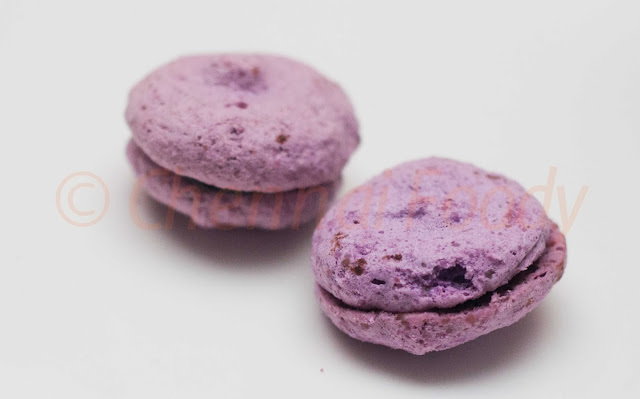 OK, I am being harsh with the macaroons, because I know that these are probably the toughest cookies to bake in the world and they are finicky and one tiny mistake and the whole batch could go waste, but that is no excuse to put a bad one on the menu. It was soggy, had no feet, cracked top and well, like I said, a very bad macaroon. So, great place for tea and food, not a great place for desserts. At least not yet and because the food has improved from being good a few months back to almost being great now, I believe the owners can make the desserts great too. If that happens, this will hands down be the best coffee shop for me in Chennai and I have already been there thrice in the last ten days! 4/5 for the food and tea and 3/5 for the desserts. Lloyds Tea House is on Avvai Shanmugam Salai (Lloyds Road), behind the Oxford Press.